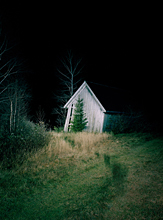 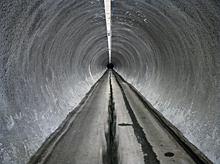 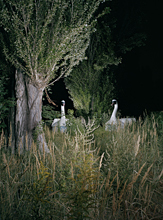 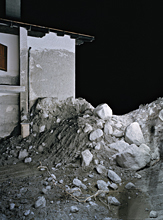 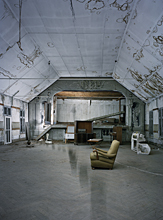 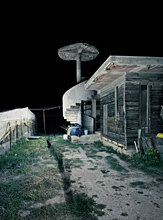 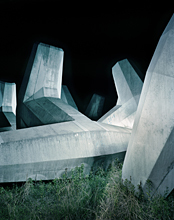 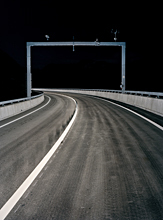 Dreamscapes is a long-term artistic series by Swiss photographer Dominic Büttner. 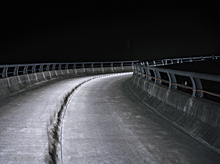 In it, Büttner records performances at night, both in natural and built environments. 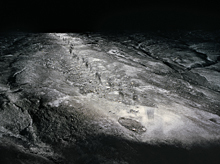 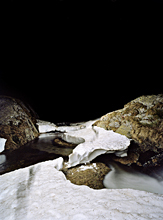 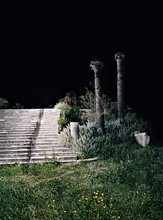 Holding a torch, he walks slowly away from a large-format view camera as a time exposure captures the scene, illuminated by moving light from which the artist himself is subsequently erased. 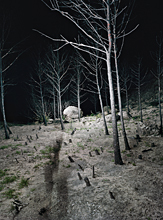 By turns strange and yet somehow familiar, the fascinating landscapes show what an eerie place our everyday surroundings can be, depending on the light in which we experience them. 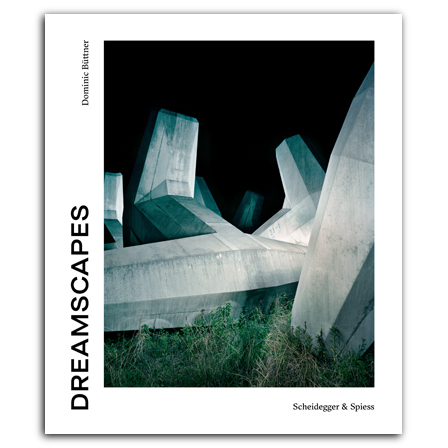 Dominic Büttner—Dreamscapes is the first book to collect Büttner’s art, and it features some eighty of his Dreamscapes alongside an introduction by Nadine Olonetzky and an essay by Elisabeth Bronfen. 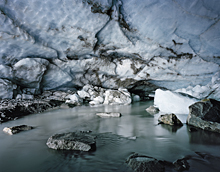 , born 1958, is professor of English and American studies at the University of Zurich and, since 2007, Global Distinguished Professor at New York University.